Vikings returns for a gripping fourth season. 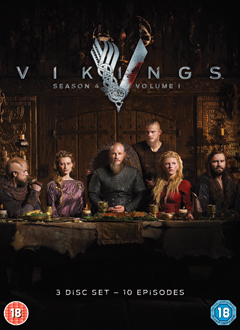 Season 3 culminated with the extraordinary battle in Paris, where Ragnar (Travis Fimmel) seized victory from the jaws of defeat–but still returns to Kattegat dangerously ill. Thoughts of his death galvanize the forces who seek to succeed him as king, including his wife Queen Aslaug (Alyssa Sutherland) and his oldest son, Bjorn (Alexander Ludwig). 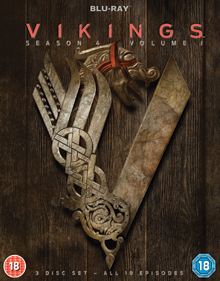 Meanwhile, Lagertha (Katheryn Winnick) continues power struggles with her calculating, former second in command, Kalf (Ben Robson); Rollo (Clive Standen) betrays his Vikings heritage by remaining in Frankia and Floki (Gustaf Skarsgård) is seized for his brutal actions to the Christian priest Athelstan.